Legal guardianship may be a good idea if you need to take care of an aging loved one, but it’s not always the right choice. In this article, we’ll explain the basics about legal guardianship. 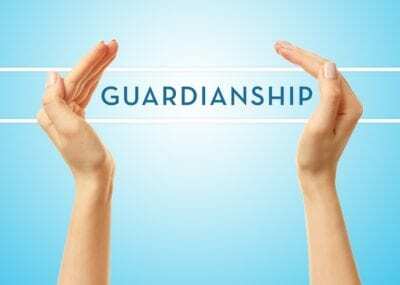 A legal guardianship is a legal relationship established between a guardian and a ward. This relationship is usually used in three situations: for an incapacitated senior, a guardianship for a minor, and for the guardianship of developmentally-disabled adults. The guardian has full control over protecting and caring for the personal and property interests of the other person. In some states, they may also be able to control their finances as a conservator. When Should Legal Guardianship Be Used? A legal guardianship should only be used when an aging relative has proven that they are not able to take care of themselves, and if they do not have a spouse or any other people who can help them manage their own affairs. Being a legal guardian means a lot of work on your part, and severe restrictions on the freedom of your ward, so it should only be used in extreme situations, for the most part. There are several pros and cons to legal guardianship. Let’s look at them now. Protect the interests of an older loved one – A legal guardian is required, by law, to protect the interests of their ward. If you or someone you trust becomes a legal guardian, you’ll know that their best interests are being protected. Can make proper decisions for an incapacitated adult – This is especially important for folks with Alzheimer’s or dementia, or any other disease which may impair their ability to make wise decisions. Peace of mind – You will know that your older relative is being cared for properly, and the future of their finances and health are secure. Requires a lot of work – Guardians are required to issue regular reports, log their contact with their ward, and interact with the court regularly, and they are not usually compensated for doing so. Court is involved in personal decisions – Guardians do not have complete control over the lives of their wards. The court must often be involved in major decisions, such as moving the ward to a new home or nursing facility, major surgeries, and financial decisions. Can be expensive – Guardians are responsible for paying court fees out of pocket, unless their ward has the financial means to do so for themselves. To get a legal guardianship, a potential guardian must file a petition with the local courts, proving that the ward in question is unable to make their own decisions, or take care of their own personal well-being to such an extent that it is endangering their life or their future. To terminate a legal guardianship, the court must agree that the guardianship is no longer necessary, or appoint a new legal guardian, relieving you of the duty. The above information is quite general, and may not apply in every state. Each individual state handles guardianship and conservatorship differently. Here are a few resources that can help you understand state-by-state regulations.